Swāmi Samarth Mahāraj more commonly Shri Swami Samarth Maharaj (also known as Akkalkot Swāmi Mahāraj) of Akkalkot (left the physical body in 1878). 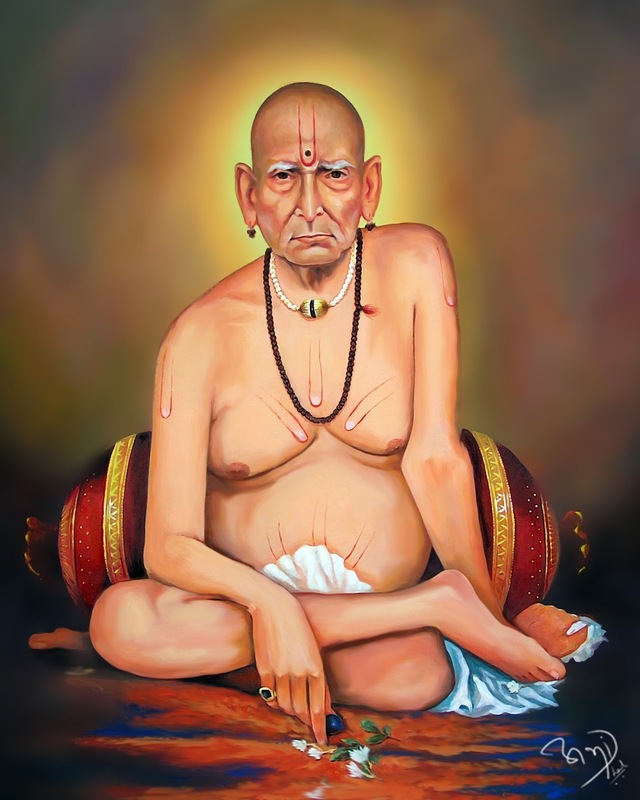 He was also lovingly referred to as Swami Samartha or Akkalkot Maharaj by his devotees. was a Bharatiya (Indian) Guru of the Dattatreya tradition (sampradaya), widely respected in indian states of Maharashtra, as well as in Karnataka and Andhra Pradesh with Shripad Shri Vallabha and Narasimha Saraswati. His existence in physical form is dated in the nineteenth century AD. Shri Swami Samarth traveled all over the country and eventually set his abode at Akkalkot village in Maharashtra, India. Maharaj first appeared at Akkalkot on a Wednesday around the September–October period in the year 1856 AD near Khandoba Mandir. He stayed in Akkalkot for close to twenty-two years. His parentage & native place details remain obscure to this day. Once when a devotee posed him a question about his life Shri Swami Samarth indicated that he is the origin of the Banyan tree (Vata- Vriksha). On another occasion Swami said that his name was Nrusimha Bhan and that he was from Kardalivan near Srisailam .